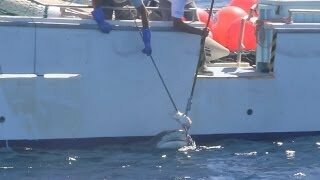 On the 10th of December 2013, while 91 world leaders, including Tony Abbott, attended the memorial service for well known activist, Nelson Mandela, the Western Australian Premier, Colin Barnett and then Fisheries Minister, Troy Buswell, made public their intention to bait and kill tiger, bull and great white sharks using drum lines. Due to the concerns of the initiative, plans were put in place for a rally at Cottesloe Beach - a popular shoreline within Barnett’s electorate - 25 days later on the 4th January 2014. 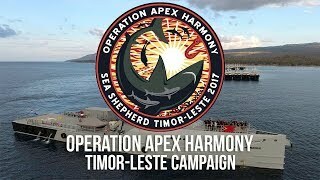 Managing Director of Sea Shepherd Australia, Jeff Hansen was invited to attend the rally as a speaker and threw his support behind the community’s actions in an attempt to pressure the Government to consider alternative solutions to mitigate shark bites. 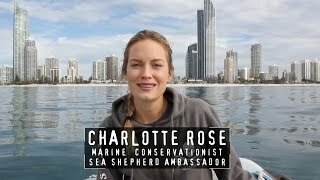 As news of the rally on the 4th January spread across social media, other community members and those aligned with Sea Shepherd, started up their own rallies in other parts of Western Australia and in New South Wales, Victoria, Queensland and South Australia to take place simultaneously. At Cottesloe Beach alone, the rally attracted around 6,000 people, with over 10,000 people rallying nationally. The rallies received local, national and international media attention with representatives of South Africa, Hawaii and the United States speaking out against the drum line initiative. On Monday, the 13th January, 350 people rallied at the Department of Premier and Cabinet against the initiative, while celebrities such as Ricky Gervais, Richard Branson and Perth based footballer Nic Naitanui spoke out in support of sharks, urging the Western Australian Government to listen to science, instead of reacting to fear. 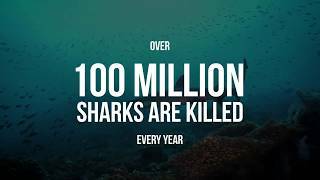 A number of public and government surveys were conducted, showing that on average 80% of the community are against the shark catch and kill policy. photo: Simon BlearsRegardless, 48 days after the initiative was announced, the drum lines were installed within the south-west of the state, attracting a 3m tiger shark on Australia Day, which was shot four times and killed with a .22 calibre rifle. The contractor responsible for this, misidentified the shark as being a bull shark, despite only being permitted to shoot three species of shark and being paid over $6,000 a day to undertake the program. The WA Government backed the fisherman’s claims, issuing statements that the shark that was killed was indeed a bull shark, despite contradictory reports from numerous shark experts who reviewed detailed photographs of the dead shark. In the Perth Metropolitan Region, the WA Government found it difficult to appoint a contractor, as they all withdrew their submissions. 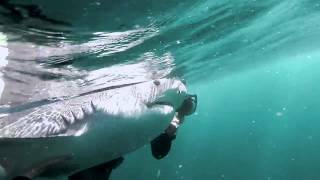 Eventually, the WA Fisheries Department was forced to bait and kill sharks. 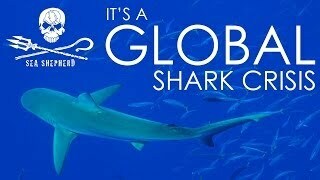 The very same department whose role is it is to guide the public on sustainable fishing and which advises the public that the presence of sharks in the ocean is a sign of a healthy marine environment. The killing of the initial shark in the south-west resulted in more anger and outrage within the community. Another rally was planned nationally for the 1st February. The day before this rally took place, the Western Australian Government dropped the drum lines off the metropolitan coast. Regardless, the community rallied in larger numbers and in more locations across the nation than previously. Jeff Hansen again spoke at the Cottesloe Beach rally, advising attendees that they were up against a very powerful and extremely arrogant government and that no matter how long it takes, Sea Shepherd will continue to challenge the Barnett Government. As part of putting the pressure on the WA Government, Sea Shepherd reached out to some of its more high profile supporters to speak out against the drum line initiative. Emma Booth, Missy Higgins, Shannon Doherty and Holly Coombs all came out publicly decrying the drum line initiative. 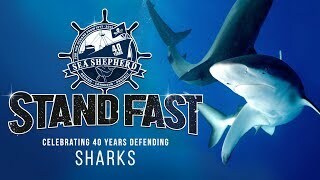 Additionally, Sea Shepherd was involved in raising community awareness in Margaret River, Gracetown and Perth in the alternative solutions to drum lines, three of which were embraced; the Shark Spotters programme, a successful initiative organized by surfers in South Africa, Eco Shark Barriers, an enclosure made out of recycled plastic which did not ensnare any by-catch during its four month trial and tagging and tracking for information to assist future shark bite mitigation strategies. 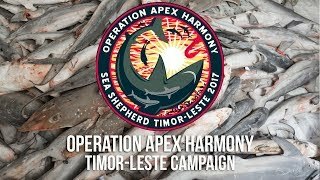 The community raised funds for Sea Shepherd and aligned organisations and individuals to fuel boats to monitor and document the south-west contractor and Department of Fisheries killing and baiting sharks. This enabled the drum line initiative to be exposed for what it was; flawed. Observers, armed with an activist’s most important weapons; cameras and passion, captured sharks being recorded as “released alive” badly injured from the hooks piercing through their heads and sinking to the ocean floor. At times, the sharks would go into a state of tonic immobility due to the stress that they were in, where they would lay on the ocean floor gasping for air and because they were not swimming, no water and therefore no oxygen was being forced into their gills. Ultimately, left in this condition the shark would drown, or be eaten alive by another shark. 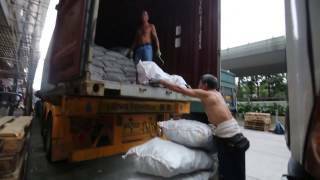 Additionally, observers noticed that it was very rare for both the contractor and the Department of Fisheries to start and finish their monitoring duties between 6am and 6pm, despite their conditions of their operations, provided by the Federal Government. 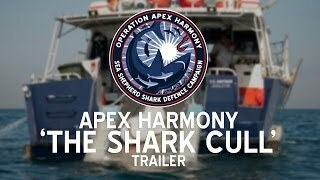 Sea Shepherd raised deep concerns about not only the bait on the drum lines attracting sharks closer to shore, but oil slicks from sharks everting their stomachs from stress, and injured sharks attracting more sharks closer to shore, at times swimming past the drum lines and appearing 100m from the coast. Additionally, with tiger sharks comprising the majority of sharks caught on the drum lines, Sea Shepherd raised the point that there had been no proven record of fatalities from tiger sharks in Western Australian waters. 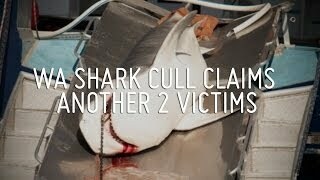 The targeted species, the Great White shark, had not been caught on the drum lines during the three-month trial. After the drum line policy had been in place for three weeks, another rally was held at the Western Australian Parliament House on the first sitting day of parliament for 2014. Jeff Hansen also spoke at this rally, announcing that Sea Shepherd was considering a legal challenge to oppose the Western Australian Government’s shark cull. 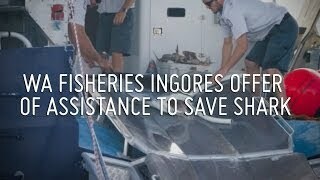 Overall the drum lines caught seven stingrays, a northwest blowfish, a spinner shark, five federally protected mako sharks and one undetermined shark. Of the marine life that was captured by the drum lines, 71% were non-targeted or by-catch species. A review of the drum line policy was requested by the Western Australian Environmental Protection Authority (EPA). However the Chair of the EPA, Paul Vogel stated that as the drum line policy was only a three-month trial “our advice is that this proposal will not have a significant impact on the environment.” This is despite 23,000 submissions being made to the EPA during a public consultation period and the fact that Colin Barnett has made public his plans to introduce drum lines in WA’s coast for another three years. In fact, the day after the EPA publicised its decision not to assess the environmental impact of the drum lines, the Barnett Government submitted an application to the Federal Government to extend the drum lines from 15 November to 30 April until 2017. 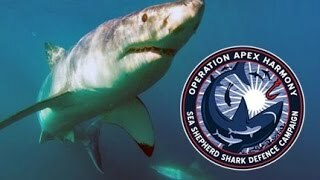 Sea Shepherd mounted a legal campaign against the Western Australian Government, seeking a judicial review of the shark catch and kill initiative on an urgent basis for an interim injunction. The application was filed in conjunction with Dr. Sharon Burden, the mother of Kyle Burden, who was tragically taken by a great white shark off Bunker Bay in WA’s south-west in 2011 while body boarding. 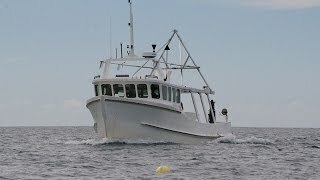 Sea Shepherd Australia claimed that the exemption provided to the State under the Fish Resources Management Act was illegal because it was not properly documented in the Government gazette. But the court ruled that the exemption was valid. Sea Shepherd boat 'Bruce'Despite these set backs, the community support never waned, and on the 20th March, Sea Shepherd introduced its own RIB dedicated to monitoring and documenting the drum line initiative. The boat, named Bruce, was kindly donated by Liza, Mike and Georgie Dicks and is a 6.5 metre inflatable with a 150 horsepower engine, capable of traveling at a speed of 40 knots. The shark bait and kill initiative became a political issue, particularly with Western Australia having to go back to the polls for a Senate Election in April 2014 after votes were found to be missing from the 7 September 2013 federal election. The Greens, who had been strong advocates in the campaign against the drum line policy, polled at 15.9% of the vote. In mid-2014, the Federal Government requested that the Western Australian EPA undertake an environmental impact assessment on the proposed three-year drum line initiative. While this assessment was under way, Sea Shepherd focused on the drum lines and nets in place in Queensland and New South Wales. On the 11th September 2014 – the EPA recommended that the WA Government should not continue its plans to use drum lines. The decision was ultimately placed in the hands of the State Environment Minister, Albert Jacob and the Federal Environment Minister, Greg Hunt. At the very last minute, before a decision needed to be made, the Western Australian Government withdrew its application to roll out drum lines for three consecutive summers and as a result, non-lethal alternatives are being considered instead to protect both ocean users and marine life within the State. Charlotte Rose joined our crew for one of our regular inspections of the Qld Government's Shark Control Program equipment on the Gold Coast. Whilst no entangled wildlife was encountered, it is always shocking to see this lethal equipment deployed in our waters. 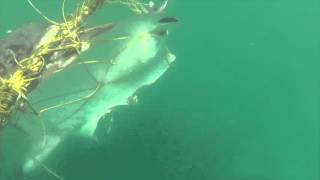 1m juvenile tiger shark caught on the drum lines at Point Cartright, Sunshine Coast Queensland on the 19 December 2015. 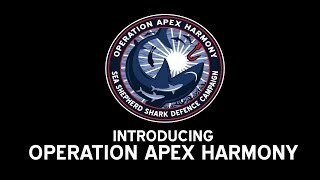 Operation Apex Harmony: Tiger Shark Nursed Back to Life!